Fans of the Tekken video game series will love this Tekken 7 Kazuya Mishima Special Edition 1:12 Scale Action Figure! This highly articulated action figure will look great on display in your home or office. This special edition version of Kazuya Mishima has a unique maroon outfit coloration. 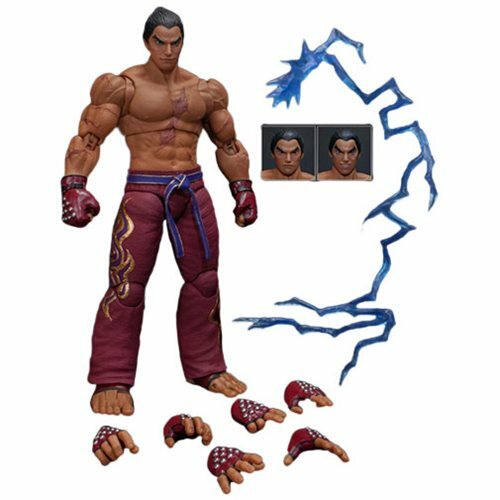 The figure includes 3x interchanging Kazuya head-sculpts, 4x pairs of hands, and 1x Electric Wind God Fist Effect. Measures about 7-inches tall. Ages 17 and up.